A wedding reception is the after party, where the celebration begins. In reception, the area where the guests would sit matters a lot. Settings of tables, chairs and linens, all give a distinctive look to the event collectively. But the most important element for the table décor is the use of wedding centerpieces. Centerpieces can really set up the tone of the celebration. Here are the most unique centerpieces for your inspiration. There are a few points to consider before finalizing the centerpieces for your event. These include wedding season, wedding theme and time of the day. Your wedding budget and coordination with the wedding venue is also quite significant (some venues do not allow the use of glass objects and open flames). 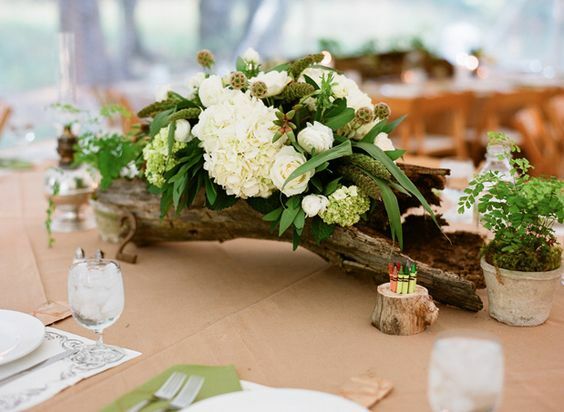 Check out a few inspirations of floral and non-floral centerpieces. 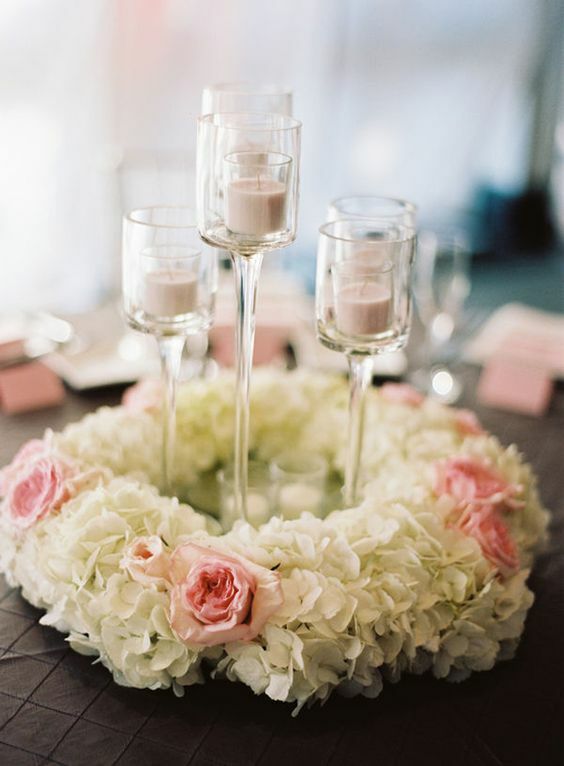 Using simple ivory flowers in the centerpieces creates the classiest ambiance. White flowers like roses with various accents like carnation, are used in mix n match style. Use of wood log with as container, has given it a pure rustic and woodsy feel. Various hues of citric shade have been utilized. Orange roses are beautifully arranged with fresh foliage and ivory carnation as accents. 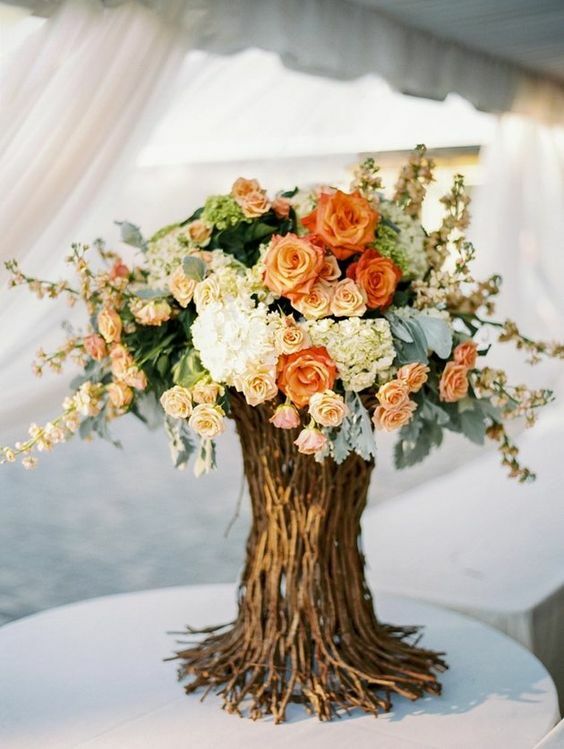 To add uniqueness, flowers are paired with a DIY tree-like vase of dry branches. Flowers like baby breath, carnation and pink roses are encircling a mason jar. 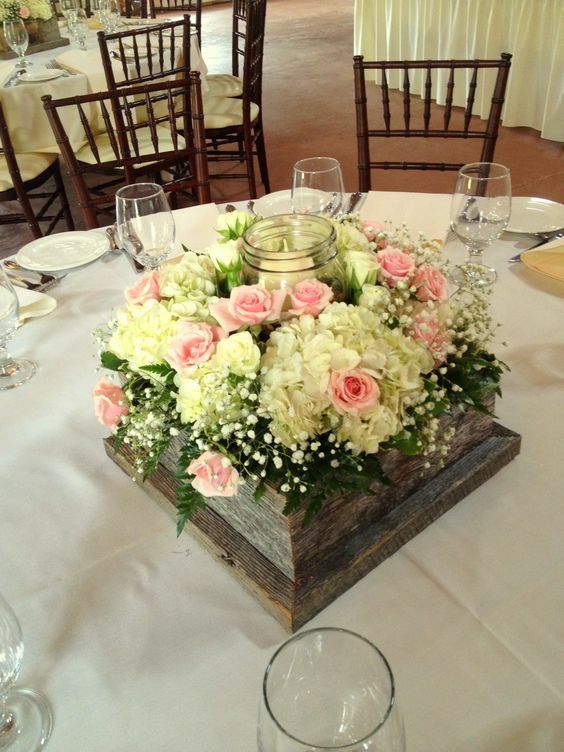 All kept in an old wooden box, make a perfect rustic centerpiece. 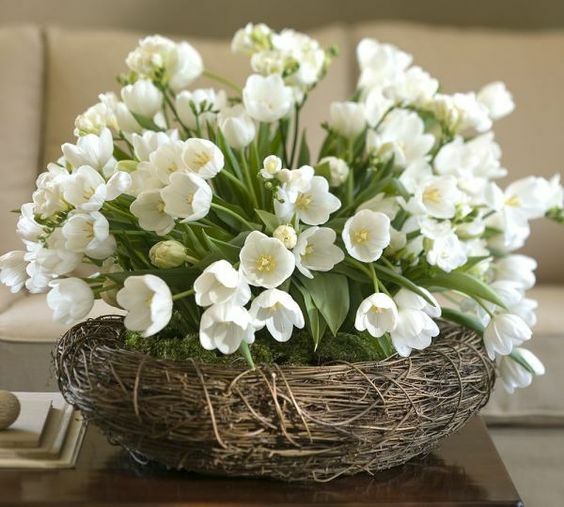 Vine baskets accented with fresh white tulips, give the most breathtaking arrangements. 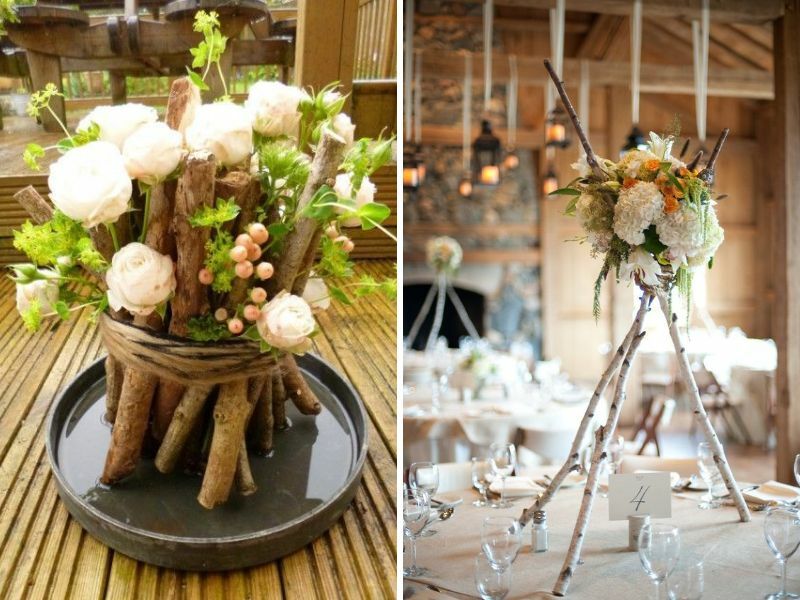 These baskets can be utilized in many ways to create unique wedding centerpieces. Yellow Billy balls are the best accents and give the most dramatic look to the whole centerpiece. 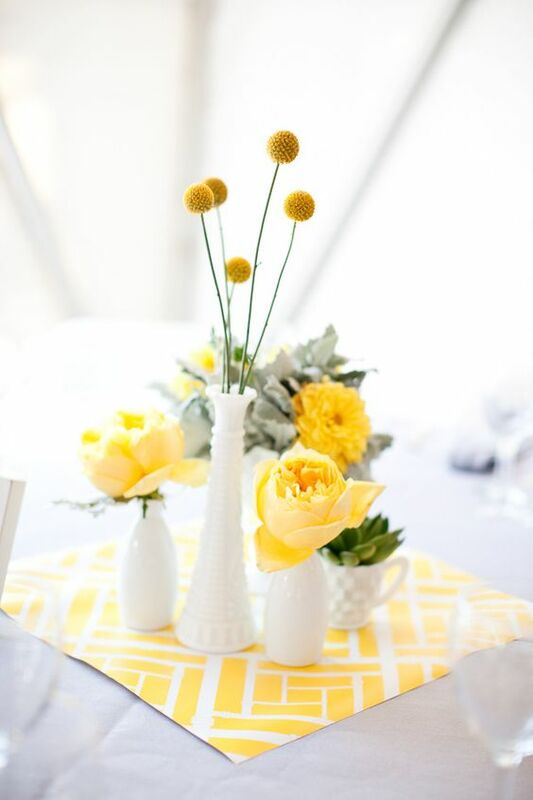 Combining it in mix n match style with other yellow flowers make prettiest spring centerpieces. 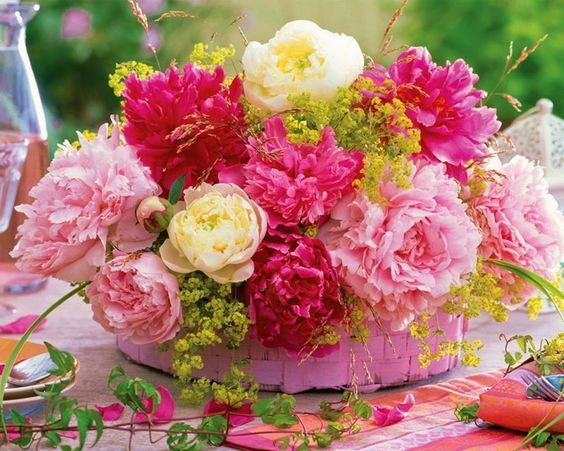 Ruffled peonies from lighter to bolder shades make the most romantic centerpieces. A pink basket accents it greatly. This playful combination is appropriate for all seasons. It’s a simple combination of wild flowers like daisy, foxgloves, forget me not, with fresh foliage in a vintage-inspired jug. 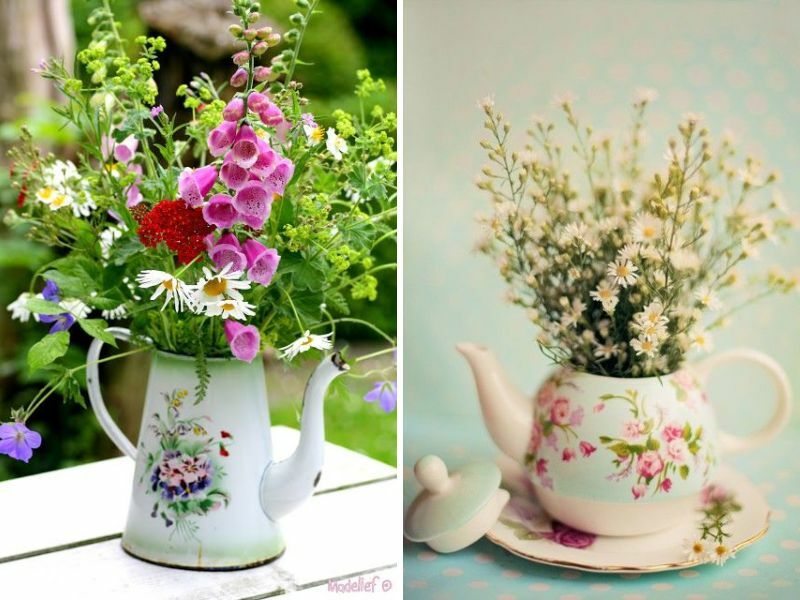 Or a teapot with mini daisies also looks fab. 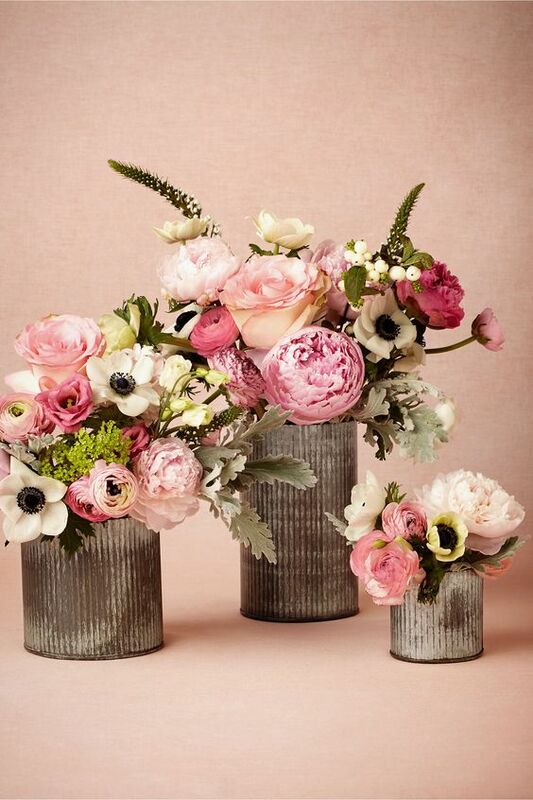 Anemone, ranunculus, roses and greenery, all combine to make the awesomely-styled centerpieces. Use of old tin as a vase, gives it a vintage aura. White and peach roses are selected to enliven the winter mood. For accents greenery and other wild herbs are used. A white pumpkin looks more special. For evening receptions, candle light is the perfect option. Why not add a more passionate touch with the addition of white hydrangeas with accents of pink rose, encircling the candle holder? To give a unique form to a centerpiece, a pile of woods has been tied together. Floral accents atop it, gives it an incredible look. Check out the two inspirations. 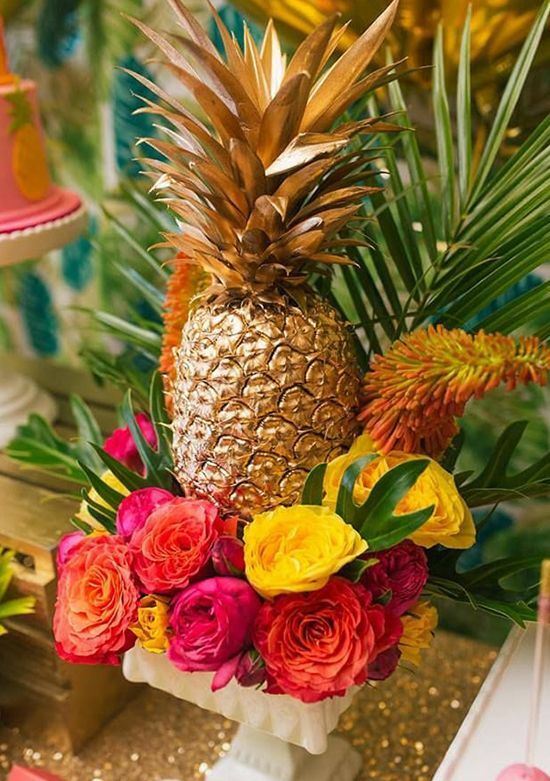 Presenting a spray painted pineapple in gold as a centerpiece. It is colorfully accented with freshly hued peonies. Foliage in the background enhances its tropical aura. It’s a romantically decorated centerpiece for a purple wedding theme. 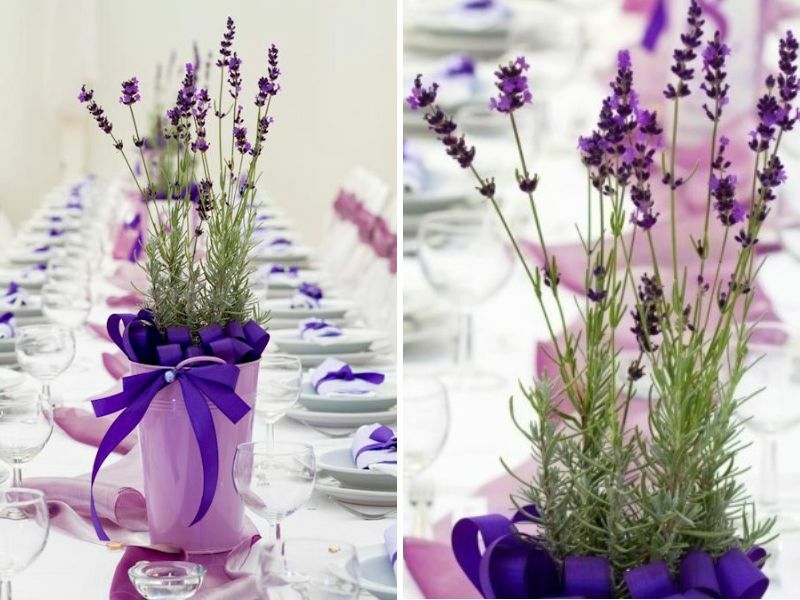 Pure lavenders are placed in small purple ribbon-accented pails. The combination perfectly creates a romantic ambiance. 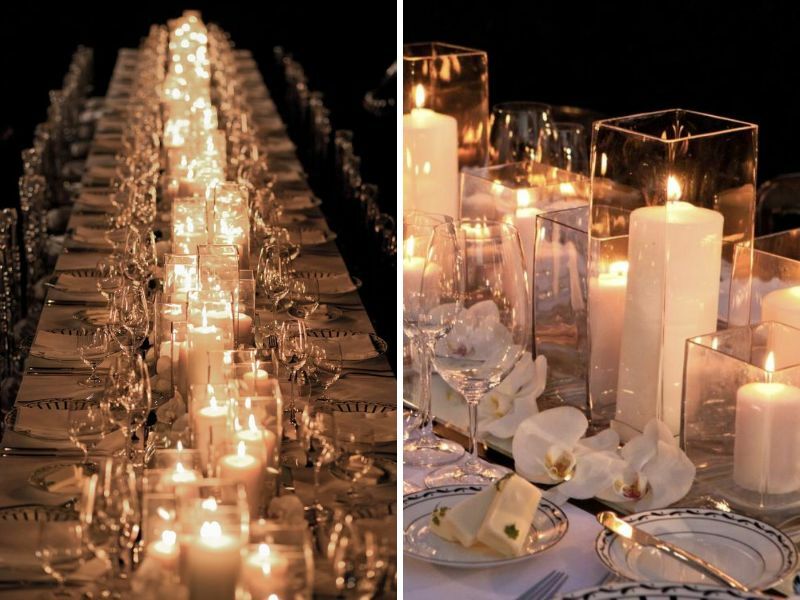 Using candles as centerpieces, is perfect for winter night weddings. Candles of different sizes are placed in square shaped candle vases. Or you can design it as you like. Using foliage as table runner is yet another uniquely different idea. 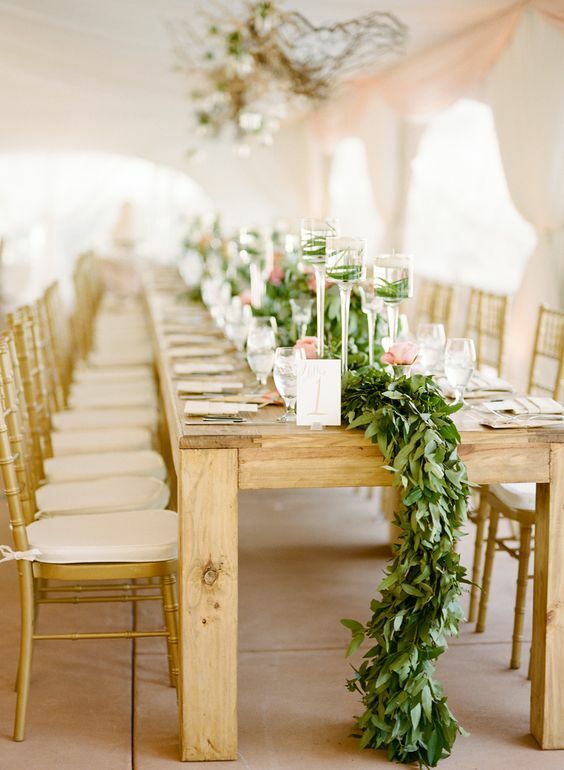 A simple wooden table is accented with fresh foliage garland. To add some colors, a few floral accents are added. 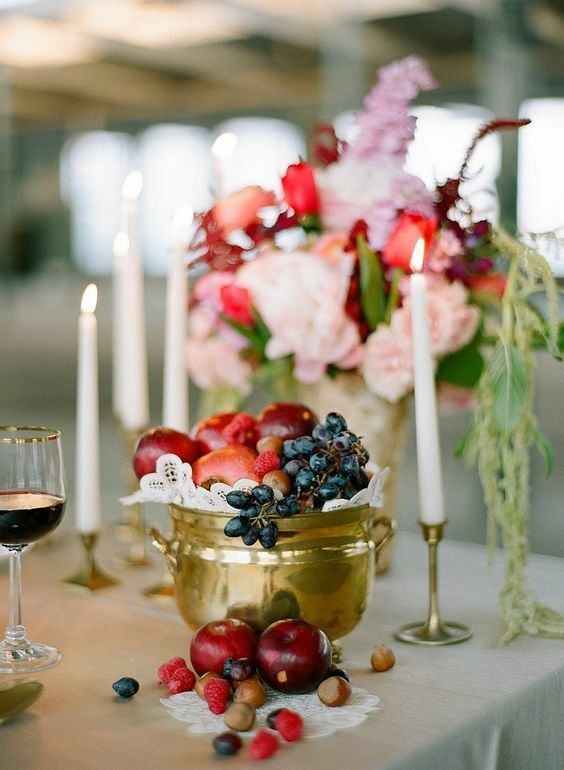 Combination of pretty colorful fruits in a vintage-inspired container (just like the image), produces the most unique wedding centerpieces. Check out the beautiful display of an array of colors. The upside down tulips of bolder colors are brilliantly accenting a comparatively simple table. It leaves more space for guests, on the table. Succulent, hot favorite wedding plant is not only inexpensive but makes the best centerpiece. 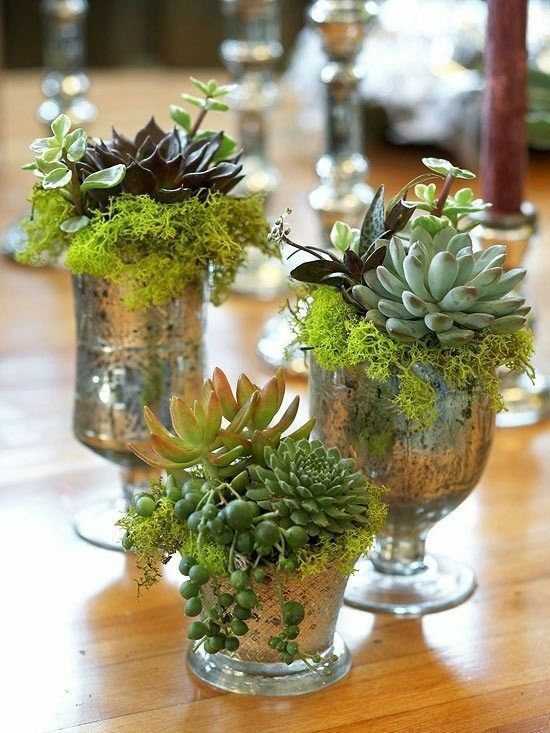 Just like this one, fresh succulents are artfully arranged in silver vintage-inspired containers. 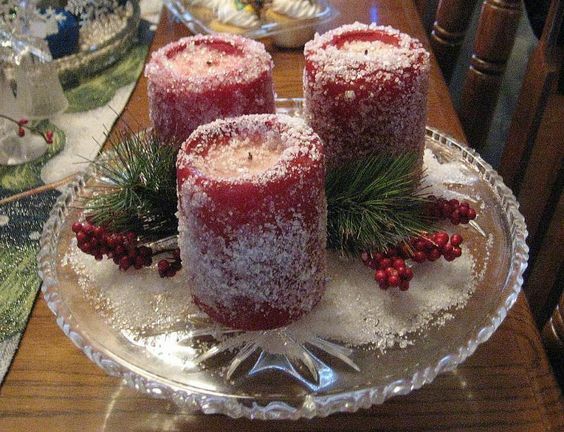 It’s a unique centerpiece with worn candles, placed in the glass plate. A winter feel is created with the sprinkling of Epsom salt. 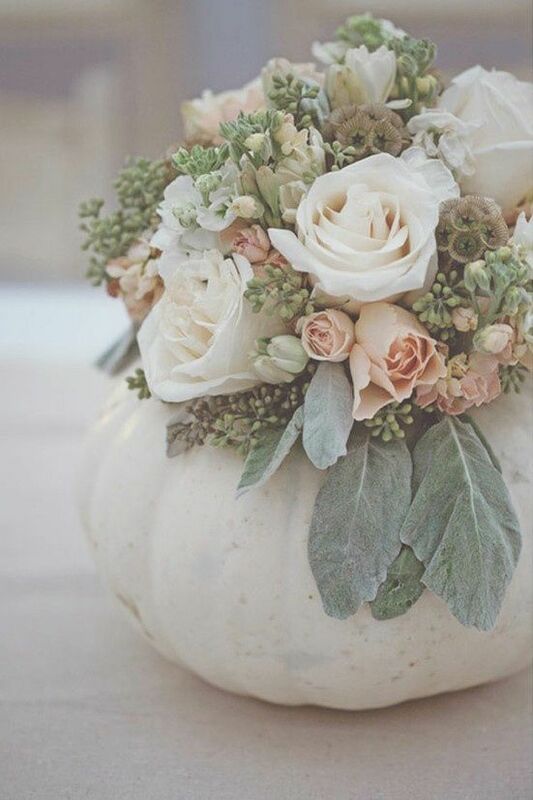 This one is perfect for fall rustic wedding. 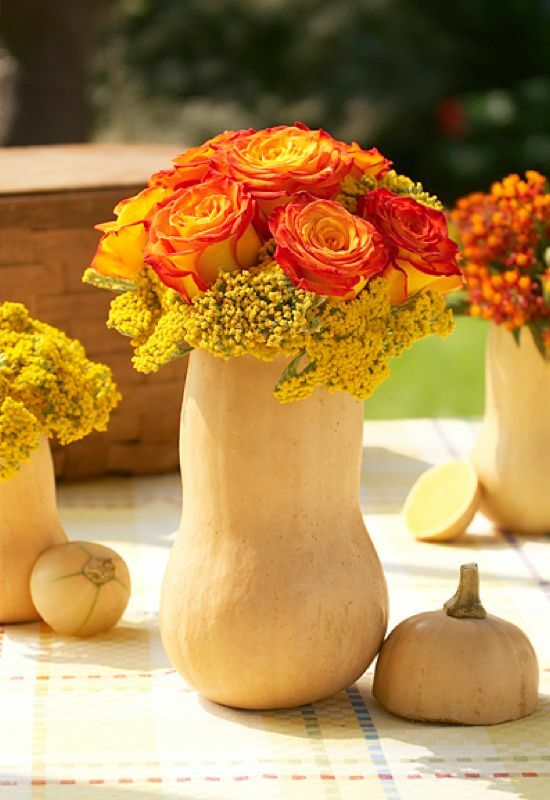 Gourds are hollowed to make the space for floral accents. This one is filled with yellow yarrows and roses. 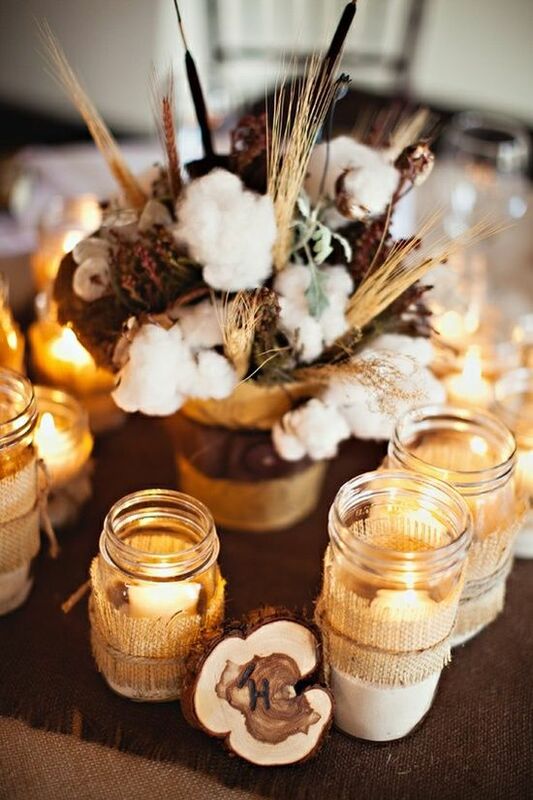 This one is a simple centerpiece, made combining various country elements like cotton, wheat, mason jars and burlap. It offers an all-natural touch to your country wedding. 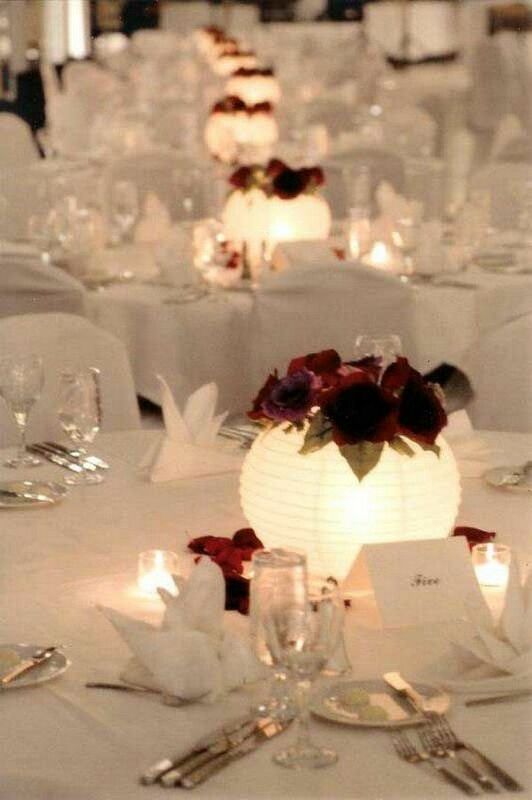 Simple paper lanterns lit up inside, are elegantly accented with flowers, to glamourize each table. It’s one of the most unique wedding centerpieces ideas, especially for winter nights. 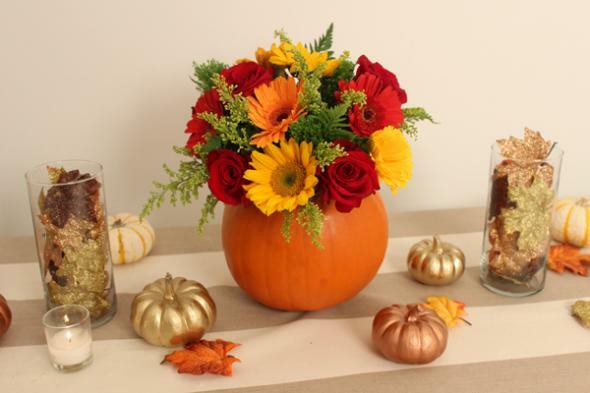 It’s a sweet and simple centerpiece idea. 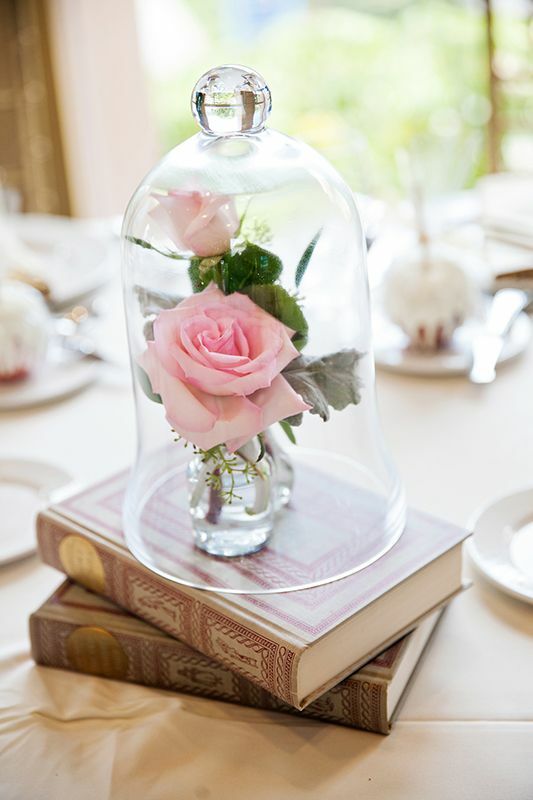 Beautiful roses with foliage are covered with a stylish glass cloche. 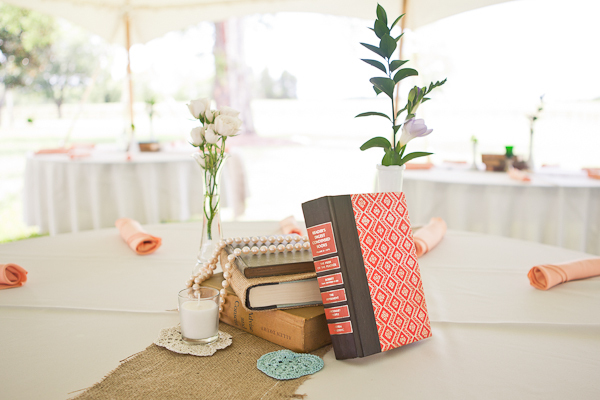 Books placed underneath, add more dramatic touch to the simple centerpiece. For base, a tin cane is used. It is glued with a pie plate, with cupcake stand. 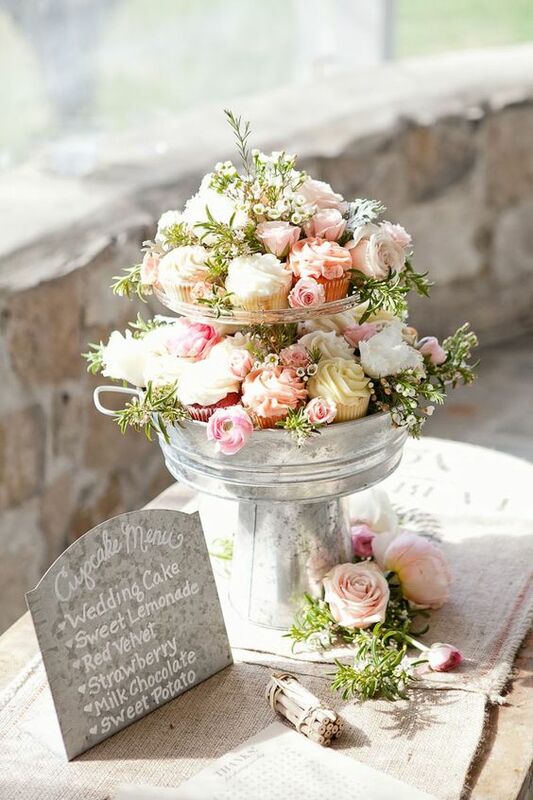 Finally, a yummy looking and tasting combo of fresh flowers and cupcake is ready for each table. 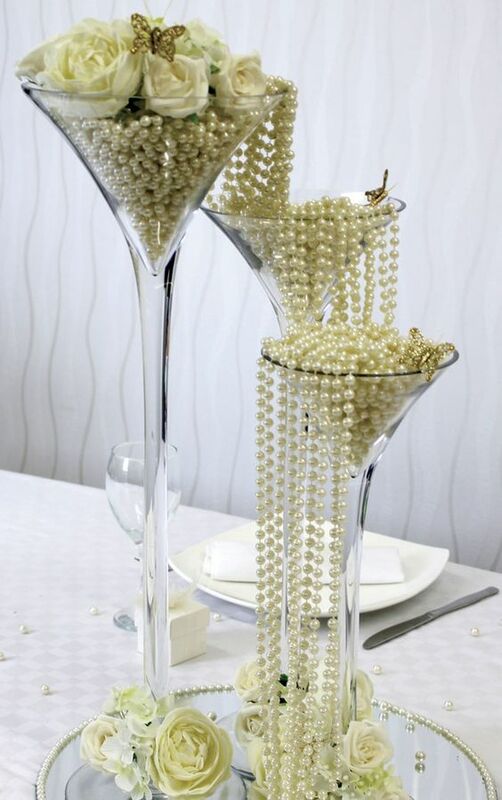 Give your reception a more luxurious and delicate touch with this oversized martini glass centerpiece. Accents of pearl beads and flowers have enhanced its sparkle. 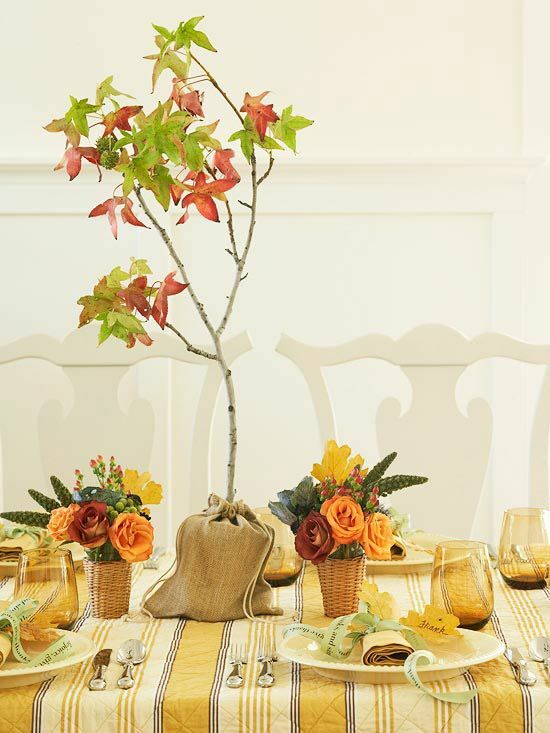 A branch of fall color leaves gives an incredibly unique touch to the whole table, containing small floral vases. The branch is secured in the planter covered under the linen bag. 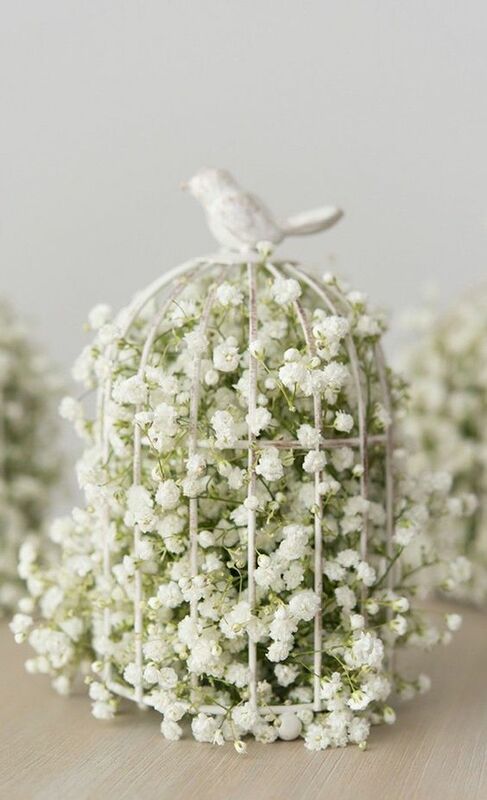 A stunning centerpiece, it’s actually a white vintage-style decorative birdcage. The white baby breath flowers enhance its beauty to give an eye-catching appeal. 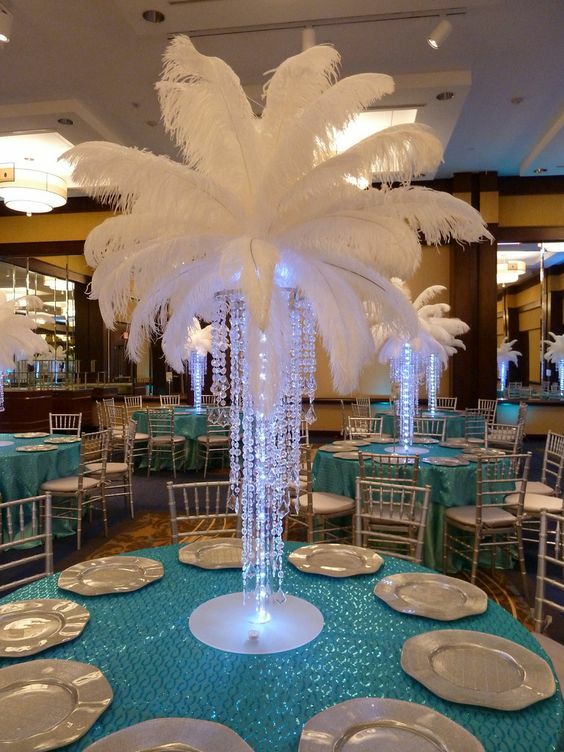 Give your event a luxurious look with these tall centerpieces filled with classy white feathers. Crystal accents on the vases give it a more glamorous feel. 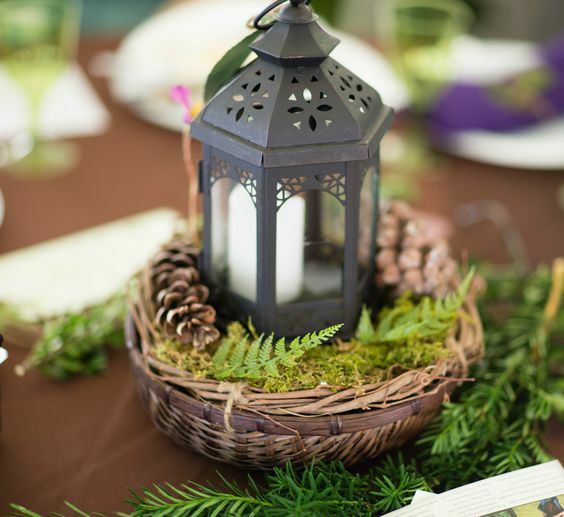 A vintage-inspired lantern in a grapevine basket is splendidly accented with greenery like fern, moss and pinecones. With a candle lit inside, each table gets a distinctive look. 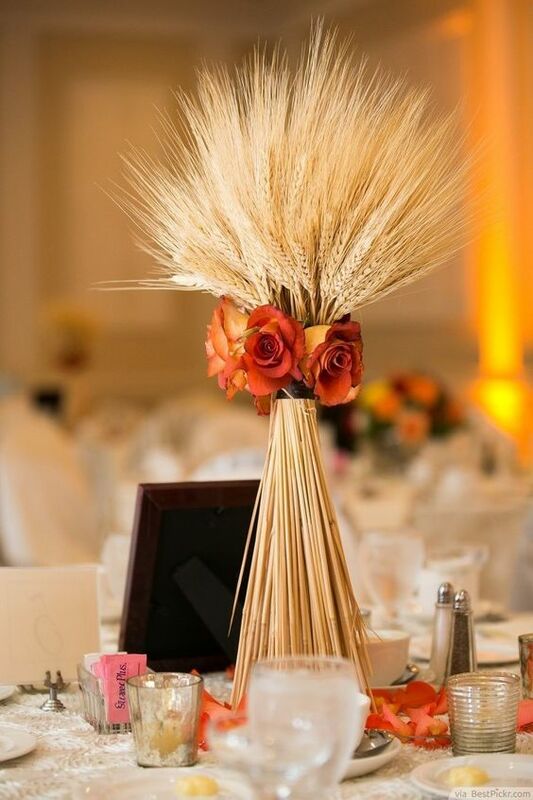 Classy wheat centerpieces tied by peachy roses, as accents, make them spectacularly unique wedding centerpieces. 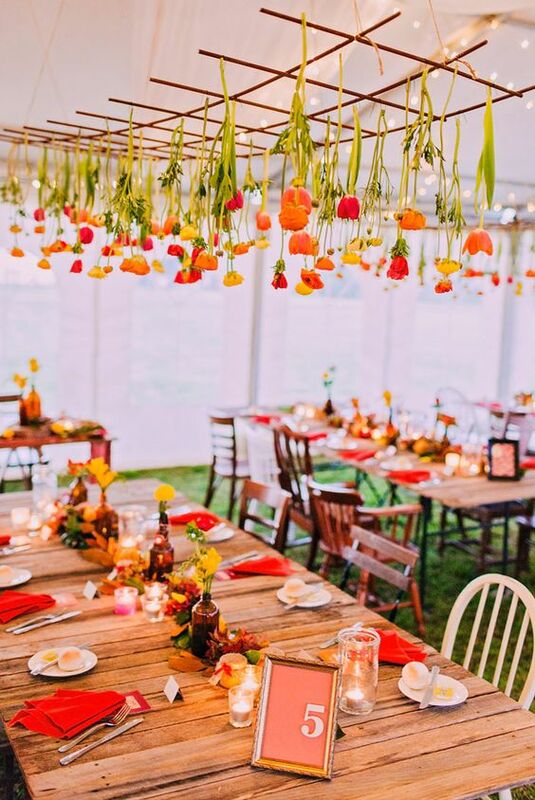 Cool idea for country wedding. Select a few of your favorite books (or fake ones) and combine it with whatever decorations you like.